This article examines the sales process for farmers and processors, and the impact water weight has on the fair market value of CBD. Currently market rate for hemp biomass is hovering between $3.25 and $4.25 / % / lb. Although this is accepted across the industry as the fair market rate, there is a major pricing disconnect as a result of moisture content. Below are three categories that show how the industry buys. 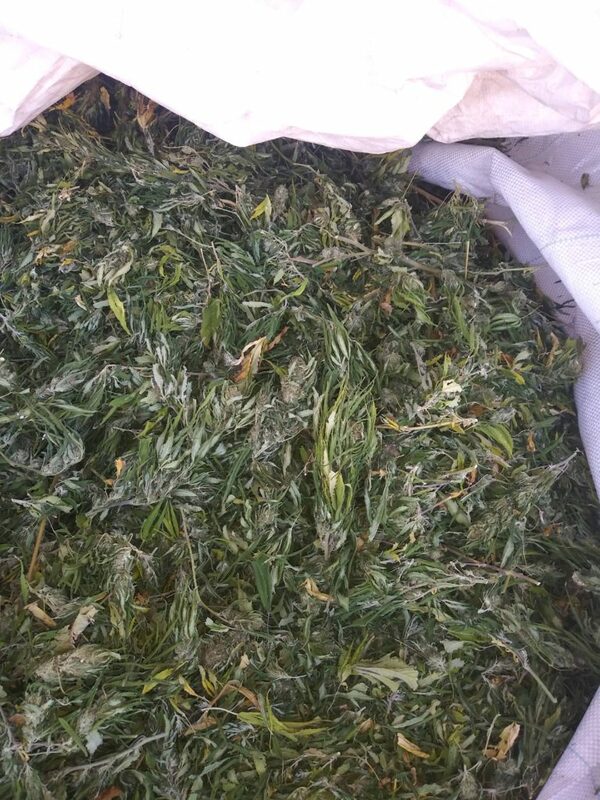 The most popular method for purchasing hemp biomass is to agree upon a cost per pound based on the CBD test results. For example, an extractor processing 10,000 lbs / month is paying $4.00 / % / lb, the hemp tests at 10% CBD so the cost per pound is $40. This method is flawed because the potency testing lab dried the hemp sample prior to testing. When the test says 10%, they are talking about dry weight (this is the same method the US Government determines compliance). So when you apply the $40 / lb to the hemp you are purchasing, where does the moisture content come into play? At 10k lbs / month, this monthly purchase is $400,000. If the moisture content of that material is 10%, 1000lbs of your purchase is water weight – $40,000 of water, or almost $500,000 each year. Because the majority of the industry uses total weight to price hemp lots, this has a real impact on the fair market value. A hemp lot testing at 10% CBD and 10% moisture shows the true adjusted value of CBD to $4.44 / % ($4.00 / 90 * 100). This method is flawed because it does not account for the variance in moisture content. When looking at other industries like corn, there is an acceptable moisture content. Any corn that is sold outside of that moisture content is docked points, which is reflected in the sale price. The largest processing facilities account for moisture content when purchasing material. Accounting for the variance of water weight provides better insight into extraction yields because the input material is better understood, and as a result, the output is predictable. There are two methods used to account for moisture content. One is to put a deposit on the lot and dry the material prior to final testing which determines price. This results in the total weight of the lot being lower, but a fair standard for pricing CBD. The other method is to take a wet test, and include the moisture content in the total cbd potency. This will result in a lower CBD potency based on total weight, and a lower cost per pound. Both of these methods will result in a lower price for the farmer. Because the market is being driven by the CBD buyers who use the absolute weight method described above, big processors need to pay more per % pt CBD, a premium that adjusts for the fair market rate of hemp biomass. The third method is to work with the processor as a service provider because the farmer wants to sell the finished extracted material. There three ways this occurs. The most common is splits, where the processor will take 50%-70% (using isolate splits for example) of the output material for their processing service. The second method is to charge for the input material, for example charging $25 / lb input material to turn hemp into CBD crude. And the third method is charging based on output. For example, charging $1200 / kilo of CBD isolate created from your hemp biomass. Each method has advantages. Splits require trust in the processors rate of return on your CBD material, and is the most “fair” way to work with a processor (provided the split % is fair). Paying for the input material allows the processor to charge for their service and time of the staff and equipment running to process your hemp. Paying based upon output material guarantees a margin for the farmer, but the processor will need a certain quality of material to run, and runs the risk of being under paid for material that doesn’t extract well. In summation – the market rate is driven by the most popular method of buying CBD biomass which is currently based on absolute weight. Buying methods will quickly shift after harvest to accounting for standards in moisture content, which will raise prices. However, with the expected glut of product from harvest, the impact of moisture content on price will be obscured by the greater impact of oversupply. Good luck with the remaining crops you have, and remember to agree on a testing lab prior to any sale!